. إن الخدمات الممتازة وحسن الضيافة العالي في Edge Of The Forest تجعل إقامتك تجربة لا تنسى. لضمان راحة ضيوفه، يقدم الفندق الخدمات التالية: واي فاي مجاني في جميع الغرف, خدمة التنظيف يوميًا, واي فاي في المناطق العامة, صف السيارات, غرفة عائلية . يمكن للنزلاء الاختيار من ضمن مجموعة من الغرف المصممة بعناية لتعكس جواً من الراحة، والتي يتجاوز عددها 6. يقدم الفندق العديد من الفرص للاستجمام كمثل حديقة. إن كنت تتطلع إلى إقامة مريحة وهادئة في مارجريت ريفر واين ريجيون، فستجد في Edge Of The Forest بيتك الثاني. مكان الإقامة يطبق سياسة صارمة لمنع الاختفالات أو إصدار ضجة صاخبة بعد 09:00 PM. Very friendly and helpful staff. Accomodation is cosy for family of 3. Room has microwave, fridge, cutlery, bowls, plates and utensils. Managed yo make scrambled eggs using microwave and turned out well. Bathroom is clean and well furnished with all the necessities even with a heater attached on ceiling. There was a double bed and single bed for my family of 3. In the cupboard, there were extra pillows and other necessities including a safe. Behind the motel is a pathway which is easily accessible and a small garden for guests to use. Owner also recommended a trail nearby this cottage. 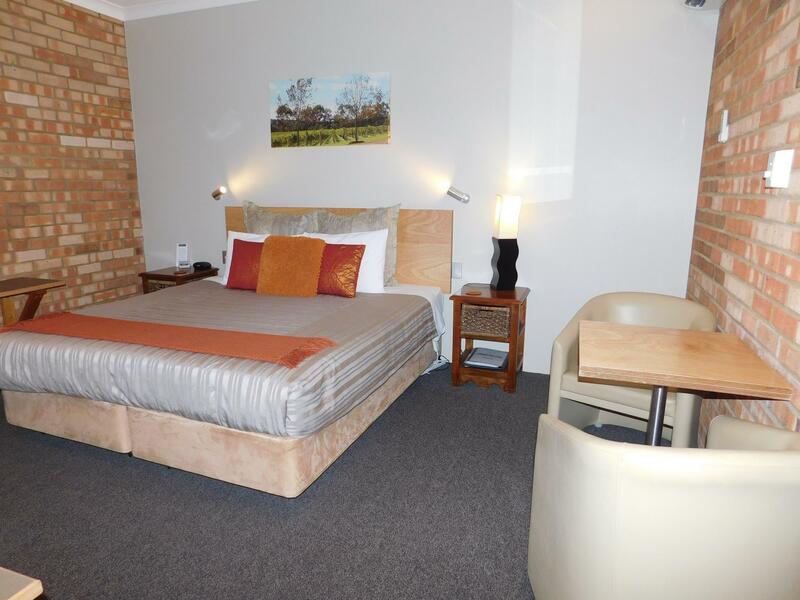 This motel is also about 5 mins drive to Margaret River Baptist church. Smallish town with a few eating places and shops here and there. In general, more expensive than Fremantle and Busselton. If u drive, can explore the nuts and cereal factory, chocolate factory, jam and winery. In town, there is a fudge factory which also sells nougat. Comfortable room with a table overlooking the garden - nice for breakfast. The breakfast supplies provided were adequate but not fancy. The owners provided us with lots of good information which really helped us have a great visit to Margaret River. This is a lovely spot with gazillions of different wineries and beaches. Thanks so much Miranda we are pleased that you enjoyed your stay. It's a small "hotel", with limited number of rooms but it's so much better than what we expected. Everything in the room is well appointed, clean (all the dining utensils, kettle, etc. are spotless), and comfortable. The expression "don't judge a book by its cover" comes to mind because the facility looks simple but it is so much more. Friendly staff & convenient location. Really clean with nice little balcony & BBQ. Would have been handy to have a sink in the kitchenette but not that big a deal. Also the front units facing the front are a bit noisy due to Bussel Hwy. However we enjoyed our stay & would book again. 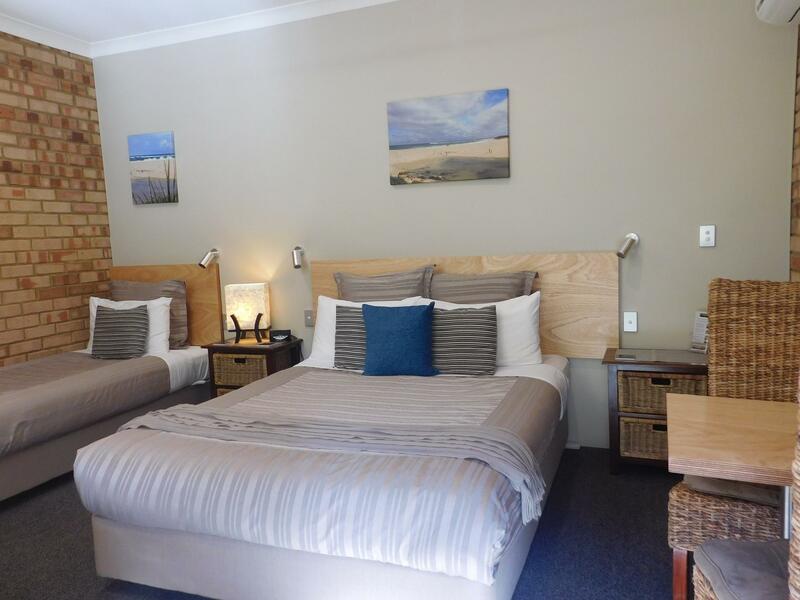 This is the place to stay if you ever visit Margaret River. We were welcomed by Denise the moment we checked in. She's the friendly go to person if you need any info on places to go in Margaret River. The rooms were spacious, clean and beautifully decorated. There's even an outdoor grill for your own little barbie party. Town is just a short stroll away and this makes it really convenient for you to get your food and groceries. We will definitely be back again. Edge of the Forest has always been our go-to place whenever we are looking for a place to stay. Host Alan and Denise are always friendly, warm and welcoming; often introducing us to new places/sights. 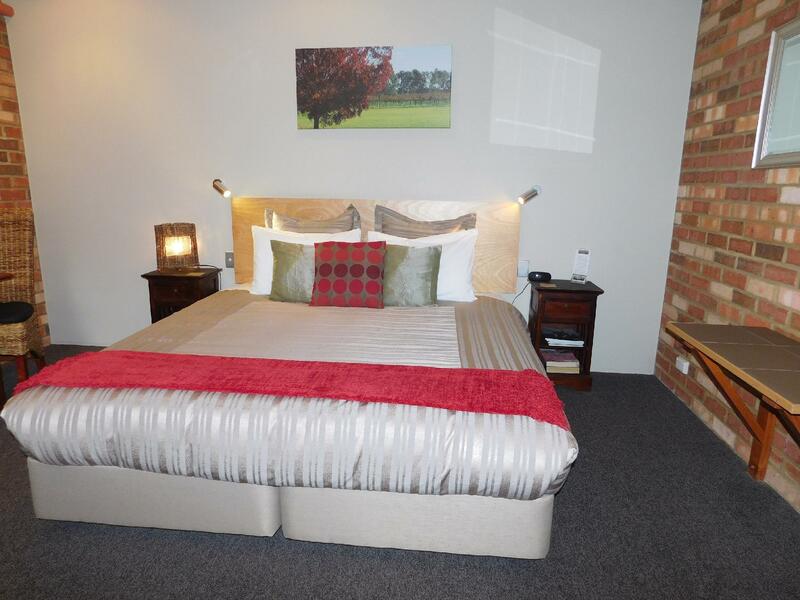 Rooms are beautiful, tastefully decorated, cosy, well-equipped and most importantly clean. Location of Edge of the Forest is also just a stone-throw away from the heart/town of Margaret River, making it really convenient for you to get your meals and groceries. Absolutely love this place and would recommend anyone who is visiting Margaret River to get a restful night at Edge of the Forest. Thank you Alan and Denise for making our stays at your place so wonderful. Looking forward to visiting you guys again! Convenient location if you have a car. Room pleasant though not stunning. Comfortable but water pipes very noisy. Every time someone flushes the toilet or runs a tap the pipes work very noisily in our room. Lady running the place was very helpful and gave great suggestions of things to do. Had a very comfortable stay at this place. It's big, comfy and has everything for a good night stay. City center is a short drive away with food options, and the supermarket. Will be back if ever in the area. :) Thanks. Lovely room, close to nature, wonderful staff. My partner and I stayed here in May for a couple of nights and what a lovely experience. The room was spacious, warm and surprisingly quiet considering the proximity of the highway. Containing a toaster, jug, microwave and cooking utensils, the room was excellent value for what we needed it for. Denise was wonderful to deal with and gave us some advice re: local attractions that saved us time, ensuring that we got the most out of our stay in the region. Would definitely stay again and highly recommend. We had a warm welcome upon our arrival at the Edge of the Forest. The owner recommended many attractions in the area. The room was very nice with a good amount of space, microwave and dishes to prepare meals. Our room faced the garden which was very nice in the mornings where I drank my coffee. I highly recomend staying here. We booked over the internet. We arrived as two very weary and hot mature motorcyclists with little knowledge of the area. Bike was directed into level covered parking, our hosts were attentive and very informative with excellent local knowledge suggesting locations to dine, then visit the next day. The room which fronted onto a beautiful garden full colourful local birds and flowers with its own private table area, was immaculate with everything we would need. We are are already recommending this to friends and would would never pass this beautiful area again without re-visiting (But this time for longer). Phill & Andrea Crossland - Southampton UK. The owner is very kind to provide the free upgrade for the garden view. Besides that Alan also provided very good guide for things to do in Margaret river. The room is beyond expectation for a motel....thanks! Booked this motel as it was mentioned by lonely planet. Would not stay here again after unpleasant experience. The motel insisted on collecting extra $$ for my 2 kids even though I booked a family room which accommodates 2 adults and 2 kids. Tried to reason with the motel owners to no avail but as it was late, cold and raining, we paid the extra $$. After settling in, confronted the motel again as the feeling is uneasy. In the end, the motel said they would contact Agoda to sort out the problem. We checked out in the early hours of the morning. Agoda had contacted me and refund the extra charges $$. Be careful about motels like this which tried to collect extra charges from guests on checking in! Hello Kok, It is a shame you found your stay with us unpleasant, however, this situation could have been easily avoided. 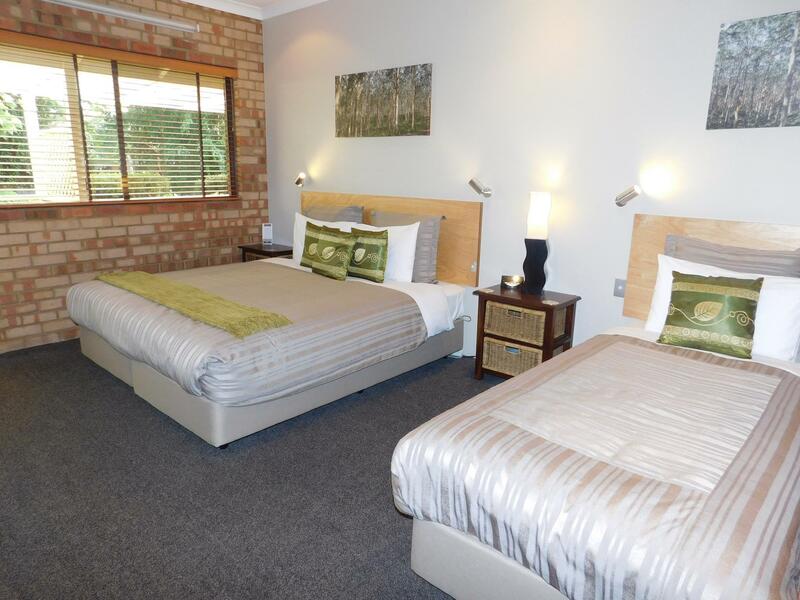 When you book a accommodation with us, it clearly states that the rate is for a twin share, which all over the world means that the rate is for two guests.There are clear options to incude extra guests,and had you added your two teenage children to the booking, the correct charge would be displayed.On receipt of your booking, we immediately sent an email confirming your reservation and confirming that you had booked for two guests and extra guests would be charged for. We could of course set the room rate for four people, but online bookings do not allow a reduced number of guests to be booked with a subsequent rate reduction,so if two people booked the room, they would be penalised price-wise and have to pay for four guests,which would not only be unfair but also we would miss out on the many bookings for that room from just two guests. The owners were absolutely fabulous; couldn't be more friendly and helpful. The rooms were very modern and extremely clean. Fresh water and milk were in the fridge on arrival alongside plenty of tea and coffee too. I would certainly recommend Edge of the Forest. Denise is very welcoming and very helpful in giving us recommendations to visit and to eat at. 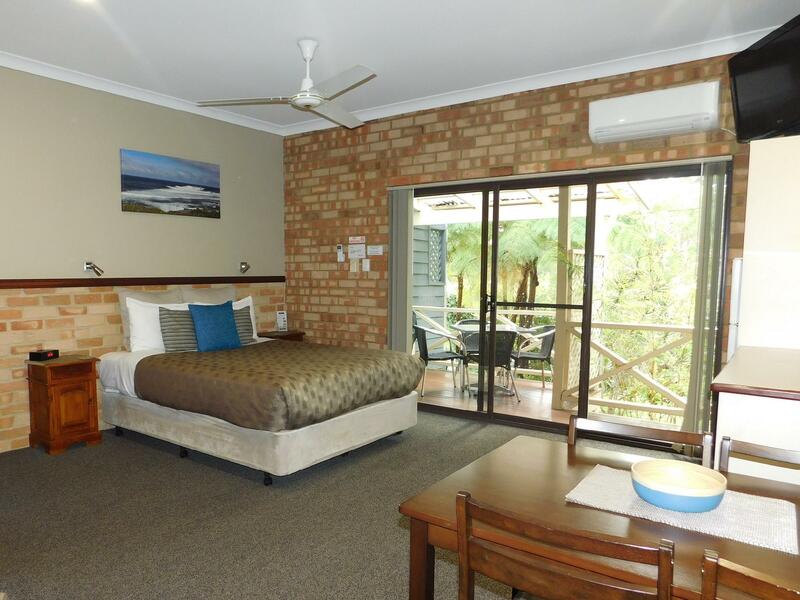 It is a good location of not being too within the Margaret River town so we don't get too much town noise, yet its also not too far away (walk 15 minutes to town). Nice secluded stay, had the view of the back-garden to enjoy wine and listen to nice bird sounds. Its also great that there was a big collection of DVDs to borrow to watch in the room for a chill-out-in-room-night. One big bonus is the bathroom had heat lamps, which makes the bathroom warm for a comfy shower (if you don't like feeling cold after a shower). Hosts have tried to supply things to make your holiday easy such sa picnic area, BBQ, clothesline,movies and player, dinner discounts. Although on a busy road, resort backs on to forest, and nice walking path. This hotel surrounding by beautiful forest and also just 5 mins walk to restaurants, bar and shops. Denise was a kind & lovely person who give us many info regarding the place to visit at Margaret River. She even introduce to us some beautiful scenery and a pretty seaside restaurant which we had our seaview breakfast there. The bush walk behind the resort was fantastic. We saw different type of wild birds. The room was clean & beautiful. They have poorer sound proof which i can understand and accept coz u were stayed at a resort with brick wall & wood floor. Overall, We had our fantastic stay there. Love the place. Room was lovely, welcome was warm and Alan gave us lots of useful information about the local area. Loved the flowering jasmine outside the bedroom door, lovely location, and easy 5-10 minute walk into Margaret River.